The Okavango river enters Namibia from Angola, and crosses the western edge of the narrow Caprivi strip (less than 50 kilometers) in the Zambezi Region before it disappears into the Okavango Delta of Botswana. Here, just north of the Mohembo border post between Namibia and Botswana, is the Bwabwata National Park of Namibia. The Okavango river divides the park into the Mahango Core Area west of the river, and the Buffalo Core Area east of the river. The Bwabwata-Okavango Ramsar wetland is centered on the Mahango and Buffalo core areas, covering an area of 46,964ha. It borders onto the Okavango Delta Ramsar site in Botswana and is situated in the heart of an extensive network of parks and conservation areas that supports large herds of elephant, buffalo, and rare and endangered species such as roan and sable antelope. It is an important corridor for animal movement within the greater region. The area is very flat with only a few metres of elevation variances from north to south. The site forms the beginning of the Okavango Delta panhandle. Due to the topography and nature of the sandy soils that act as filters, the water is completely clear and flows slowly. Sand is transported downstream in the channels as part of an important ecological process of channel filling and renewal in the swamps. Most of the rain in the area falls from December to March and an annual average of 525mm is recorded. No rain falls between April and October, making this river and surrounding wetlands a critical resource for wildlife during this time. 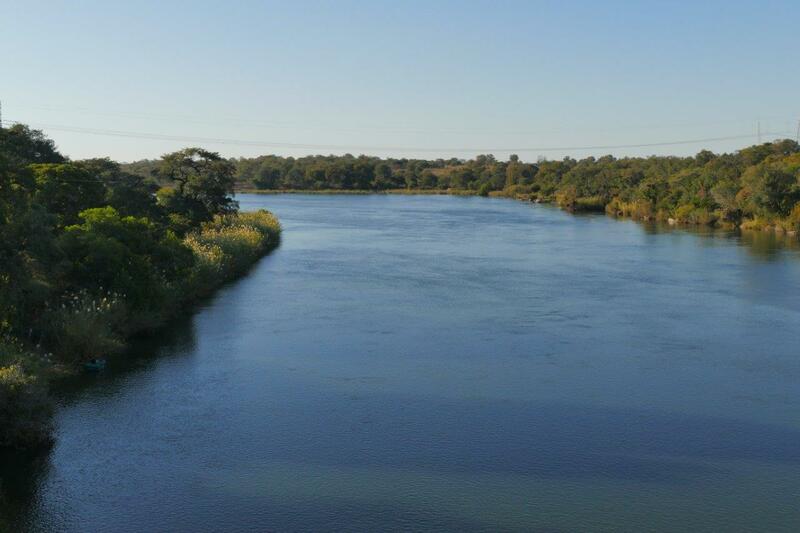 The water in the Okavango river reaches its highest level in April or May. It is warm most of the year with temperatures reaching 30°C plus during summer, and lowest temperatures around 10°C in winter (June to August). The main habitat in the wetland area is the river and its associated swamps and floodplains. The site has the highest diversity of bird species in Namibia and also one of the highest diversities of plant and mammal species in the country. Upstream of the Mahango Core Area, the land is densily populated along the river and the tarred road to Divundu and beyond to Andara. Local residents’ main land uses are crop cultivation and livestock farming. Small-scale farming of millet, sorghum, and maize with small numbers of goats and cattle is dominant. The BNP was first proclaimed in 1937 as a Nature Reserve, then again in 1963 as the Caprivi Nature Park, and in 1968 as the Caprivi Game Park. Soon afterwards, the South African Defence Force declared the park a military zone and established military bases to defend the border with Angola. The military forces withdrew in 1989 shortly before Namibia’s independence. 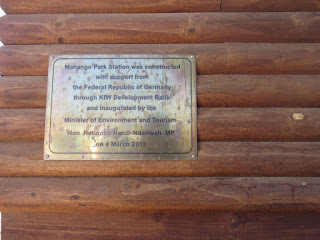 In February 1989 the Mahango Core Area was officially announced to the public. In October 2007 the park was officially re-proclaimed as the Bwabwata National Park, covering 6,100 km² and incorporating the Mahango Game Reserve as the Mahango Core Area. 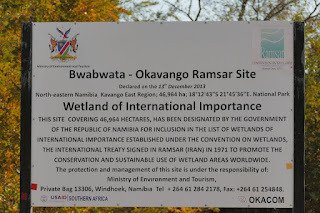 The Ramsar site falls within the Bwabwata National Park and as a result it is managed by the institutional structures within Namibia’s Ministry of Environment and Tourism. Due to Namibia being the driest country in Africa south of the Sahara desert, any wetland within its borders will be considered unique and of great importance. With the Okavango river (which is the main source for the Okavango Delta in Botswana) in the center of this wetland, it is clear why it is considered of international importance. The wetland was declared as a Ramsar wetland on 13 December 2013, becoming Namibia’s fifth Ramsar wetland. The wetland supports several species of plant and animal that are vulnerable, endangered, or critically endangered, such as elephant, hippopotamus, lion, Grey Crowned Crane, Lappet-faced Vulture, Lesser Kestrel, Slaty Egret, Wattled Crane, White-headed Vulture, to mention a few. The flora of the site is dominated by the plants of the permanent swamps, such as papyrus, reed beds and bulrushes. This is one of the few places in Namibia where this type of vegetation can be seen. Adjacent to the permanent swamps are the seasonal swamps and these eventually make way for extensive Burkea woodlands characterised by tall trees. Once again, this is one of the few places in Namibia where this vegetation type can be seen. The fringe of the river has a variable strip of riverine forest, containing trees such as jackal berry, mangosteen, knobthorn, and marula. Two conspicuous species on the edge of the floodplain in the Mahango Core Area are baobab and fan palm. Around the Buffalo Core Area, on the eastern bank, there are areas with closed riparian woodland dominated by knobthorn, leadwood, sausage tree, and jackal berry. Floodplain grasslands in the Mahango Core Area support wetland-grazing species such as red lechwe, sitatunga, reedbuck, waterbuck, and hippo, while dry woodlands support high-value species such as buffalo, roan, and sable. 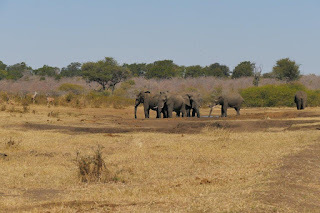 Elephant populations have increased in the Mahango and Buffalo core areas. The area also supports a healthy population of predators, including the endangered African wild dog and cheetah, lion, serval, African civet, and side-striped jackal. The river contains both Cape clawless and spotted-necked otters. 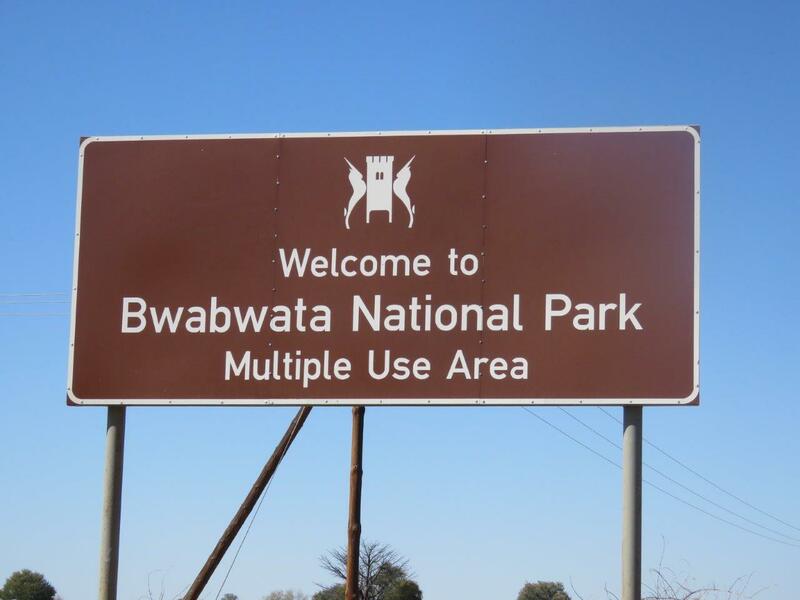 Bwabwata forms a crucial transboundary link for wildlife migration between Angola, Botswana, Namibia, and Zambia. Bwabwata’s core areas serve as key wildlife areas, supplying wildlife to neighboring conservancies and resident communities who sell trophy hunting rights to professional hunting operators, and develop tourism on their own land. Over 400 species of birds have been recorded at the site, the highest number anywhere in Namibia. This is one of the few places in Namibia where rare species such as Slaty Egret, Pel’s Fishing-Owl and Narina Trogon can be seen regularly. Floodplains and grasslands in the Mahango Core Area are breeding habitat for the vulrenable Wattled Crane. The sand banks in the Okavango River are a breeding habitat for the endangered African Skimmer. Tourism is an important land use in and around the Mahango Core Area of the Ramsar site with several lodges and guesthouses operating upstream of the core area. This includes the Popa Falls Rest Camp managed by Namibia Wildife Resorts. 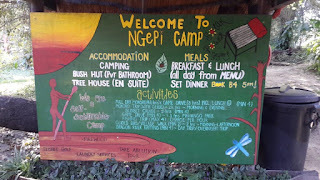 One of the more popular camp sites is Ngepi Camp, 12 kilometers downstream (south) from Popa Falls. It offers camp sites with river views, grass surfaces, trees for shade, interesting ablution facilities, restaurant, bar, DSTV, and Wi-Fi. Luxurious tree houses are also available. Tourism activities include vehicle-based game viewing, guided walks, guided boating, fishing, guided cultural excursions, bird watching, self-drive 4x4 excursions, and camping. Trophy hunting takes place within the Buffalo Core Area. It is a major source of income for the local communities. It also provides by products such as meat and animals skins to the people in this poor area. However, authorities realise that hunting is not appreciated in conservation areas and plans are in place to either reduce the hunting concessions, or move it outside the park altogether. There are limited roads in the Mahango Core Area which can be accessed by most sedan vehicles. It takes you towards the river, passing a huge baobab tree. Unfortunately there are no facilities such as picnic sites or toilets for visitors. The roads are used by day visitors who need to buy a permit at the Mahango station alongside the main road to the Mohembo border post. We witnessed how visitors who did not buy the permit, were blocked from leaving the country at the border post. They had to return to Mahango station to pay a fine and obtain a valid permit. 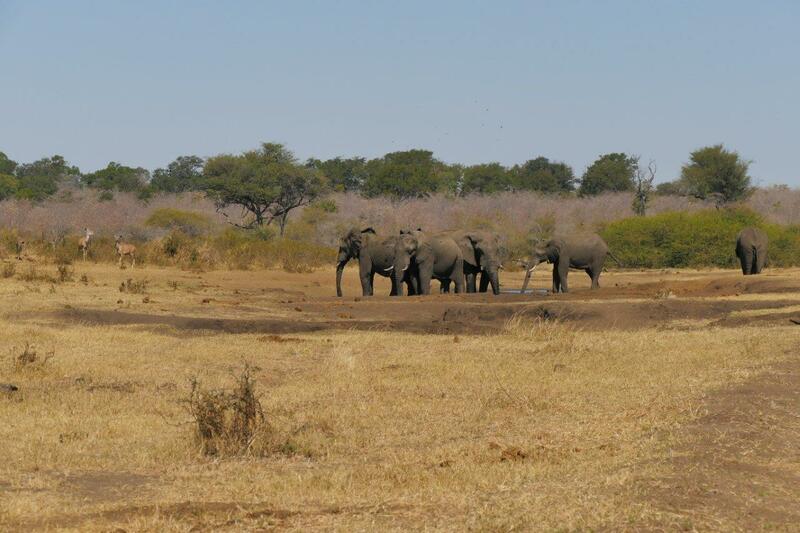 There is a waterhole in the Mahango Core Area, further west away from the river. We saw herds of elephants, kudus and other antelopes gathering here. To enter the Buffalo core are, you need to cross the Okavango river to its eastern side, just outside the town of Divundu. The roads here are sandy jeep tracks and a 4x4 vehicle is recommended. Remains of the military bases can be seen along the road towards Nova, a rangers’ station. The flood plains here provide excellent birding opportunities as well as game spotting such as buffalo and the elusive sable antelope.